Blue Heron sheep and steers in 2011. Here at Blue Heron we are looking forward to a big year ahead on the farm. In addition to raising more hogs and lambs than ever before, we are ready to take our beef production to the next level. By the middle of April, Blue Heron Farm will be home to five pregnant low-line heifers—the beginning of a herd that we hope will sustain our farm and provide delicious beef to our customers for years to come. It will be two years before we get our first beef from this herd—in the meantime, we also need to purchase at least four grass-fed steers to supply beef for the next two years of our Meat CSA. Nine animals weighing several hundred pounds each—it’s a big step for us, and a big up-front financial investment! This is where we hope you can help. If you are interested in participating in our Meat CSA we encourage you to sign up (and send us a check) by April 10. 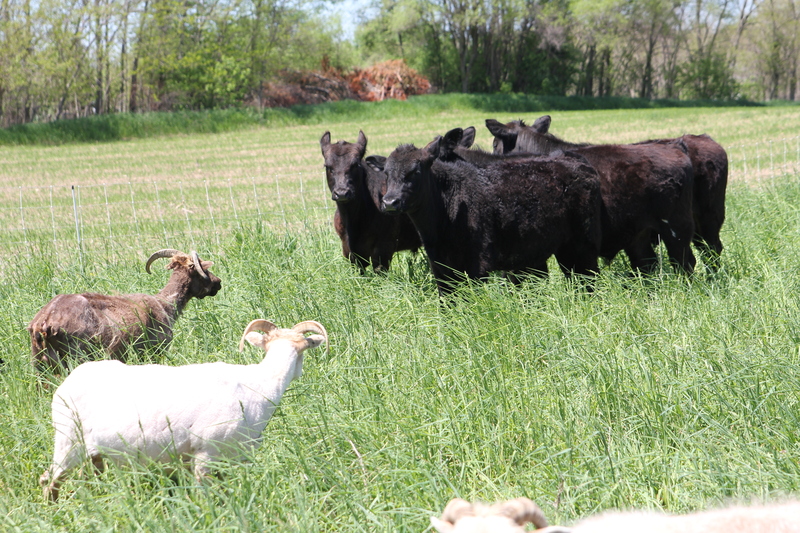 Your investment will go toward purchasing these heifers and steers, which will not only include the meat for your CSA, but will also significantly contribute to the sustainability of our farm. All early sign ups will also be entered into a raffle to name any female calves born to our new herd this summer! This year we are also offering, for the first time, a SOUTH BEND PICK-UP LOCATION in addition to our Goshen location. Please spread the word! To order, please contact us or send a check to Blue Heron Farm at 13416 CR 44, Millersburg, IN 46543. As always, thank you for your support of Blue Heron Farm. We can’t wait to see what the rest of 2013 will bring—and we look forward to sharing it with you along the way.